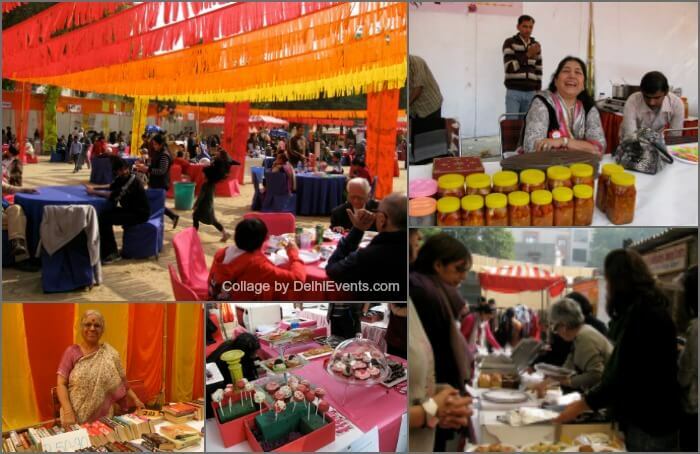 Event Description : The spring Food Festival 2019. It is the 36th Annual Fund Raiser and is a labor of love by all its volunteer members. Delicious home cooked food is its specialty with a variety of national and international cuisines. The festival also has an extensive Thrift and Gift shop and a huge collection of Books in the Book stall. The funds collected are for supporting the health and education of the 18 balwadis (preschools) which the Sisters Of The People run in slums and resettlement colonies in Delhi. About Sisters of the People : a valiant group of women who strive tirelessly and cheerfully throughout the year to give underprivileged children a good start in life. The Sisters of the People run 18 Balwadis in poor areas around Delhi. These are little two room, or one room, centres where pre-primary education is imparted to about a thousand shiny faced eager children. They sing songs; learn simple maths and the alphabet. They are also fed a nutritious mid-day meal and given regular health checkups. The Spring Food Festival is the Annual Fund Raiser for the Sisters of the People.